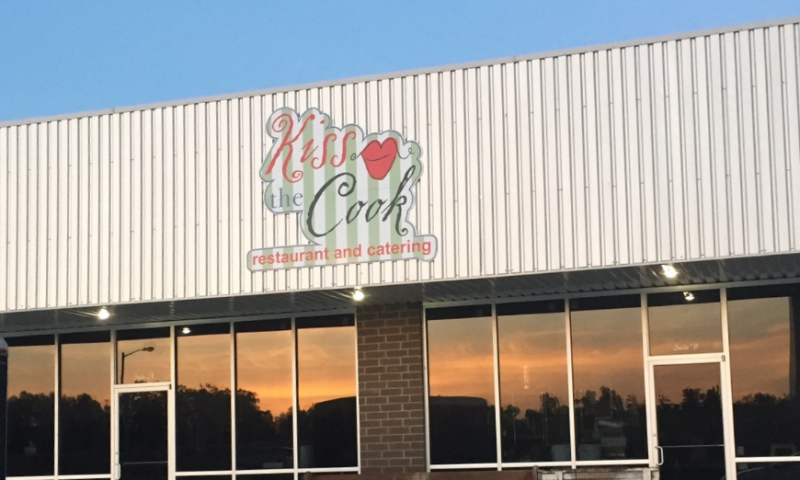 Since 2001, Kiss the Cook Restaurant & Catering has been wowing visitors and natives of Paragould, AR with freshly prepared meals that go above and beyond the ordinary. With us it's all about homemade quality---a real difference you can taste. We cook with the best in fresh ingredients and have carefully crafted our menu to provide unique meals and instant favorites! Enjoy classic dishes that will remind you of home like our potato soup and buttery pimento cheese sandwiches. Our catering has been featured in homes and corporate events across the Mid-South for years. From ballroom galas and corporate events, to intimate family get togethers, we will make your meal an event all by itself. Except weddings--we don't do weddings. We're your go-to place for a healthy lunch or a ready-made dinner you can take home and bake for the family! Everything we do here is with you in mind. We strive to offer Paragould the very best in unique cuisines that are perfect for any meal of the day. Cooking is our passion and we hope you'll enjoy your experience with us!